Right now I’m loving all my personalized jewelry pieces, they are the perfect complement to any beauty or fashion look. 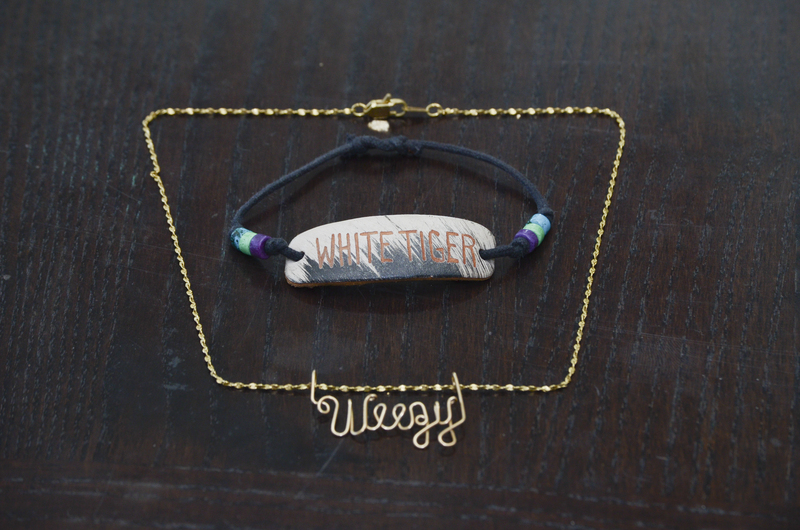 My customized pieces all represent something special to me and they are a nice reminder to wear around. 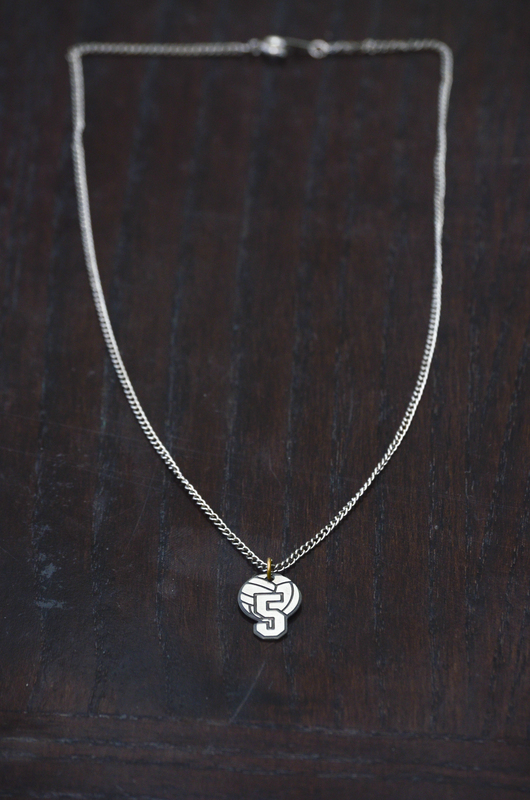 Personalized jewelry can instantly make you look very unique. As you search for these pieces, keep in mind you might have to invest in some customization or create them yourself! Getting them is half the fun! I hope my collection inspires the creation of your own. Idea #1: Reuse your old jewelry (consider it vintage 😉 )! This was my volleyball necklace from my elementary school team that I like to reincorporate into my looks today. Sentimental, yet unique pieces are awesome for this purpose. 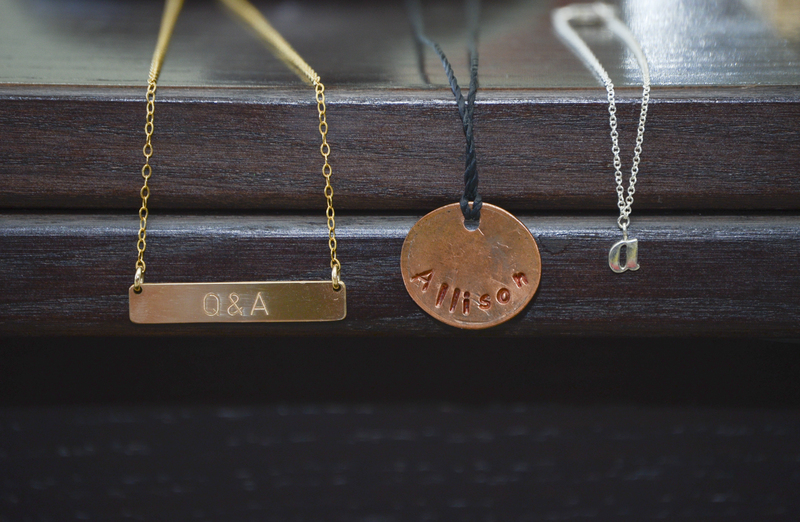 Idea #2: Nicknames, favorite quotes, or phrases make the best jewelry! I had both of the above pieces created at street fairs, flea markets, or art festivals. Seek out places to get your own creations. The above necklace and bracelet feature 2 of my nicknames. 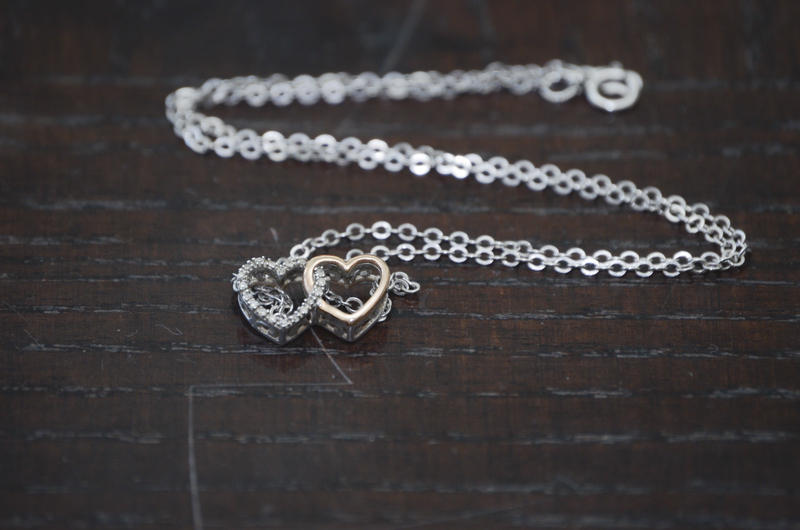 Idea #3: Personalized jewelry doesn’t always have to be “obvious.” The above double heart necklace was given to me by my boyfriend as a Christmas gift. The silver heart represents myself and the gold is him, which is why I love it. The necklace is from Zales. Idea #4: Passed down jewelry. 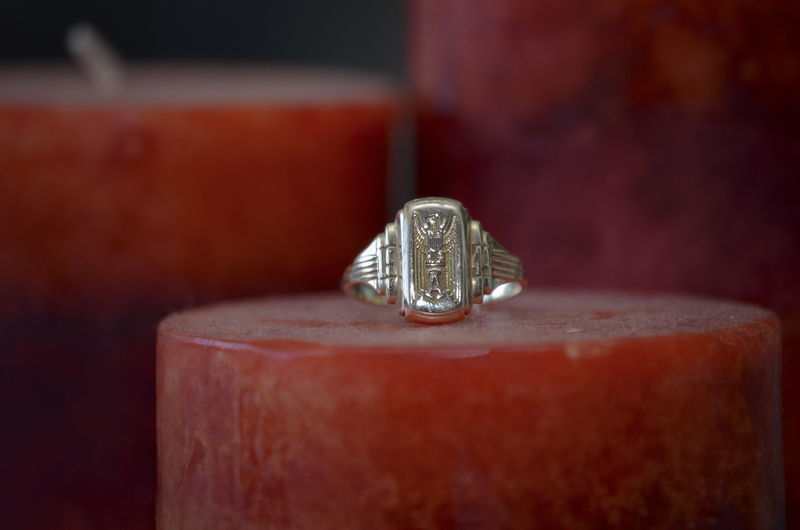 The above necklace was my grandmother’s class ring, and her maiden last initial happens to be my first initial “A.” I love this ring because it reminds me of my family, yet it is so unique and beautiful. Idea #5: Incorporating your best accessory, your name. I love each of the above pieces, whether they be my name or initial. From L to R, the bar necklace is from Etsy (hotmixcold shop) featuring the initials of my boyfriend and me – Q&A, a stamped out penny necklace with my first name custom made from a street vendor in San Francisco, and a bracelet with my first initial from Ariel Gordon. 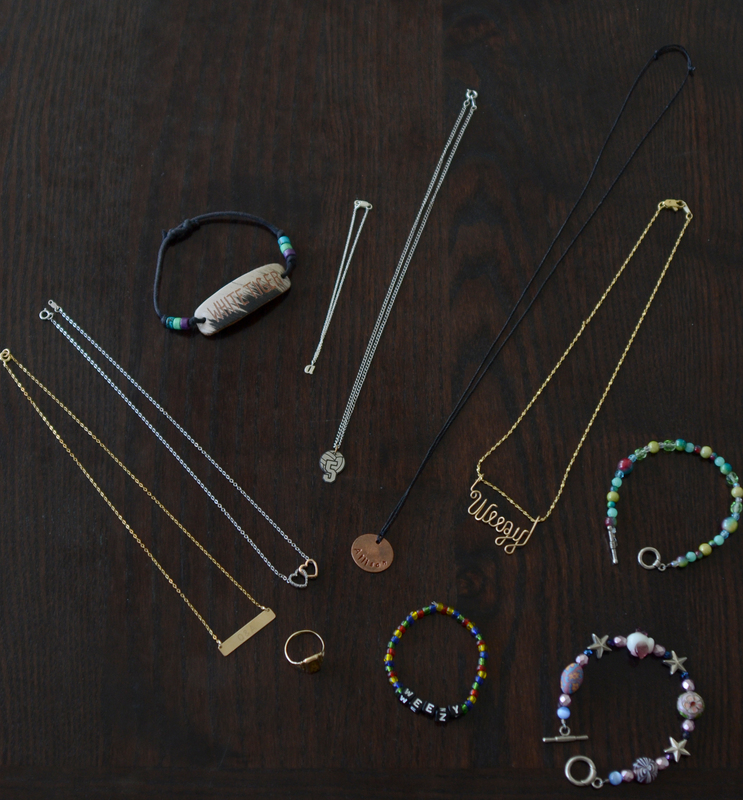 Idea #6: Make your own jewelry! 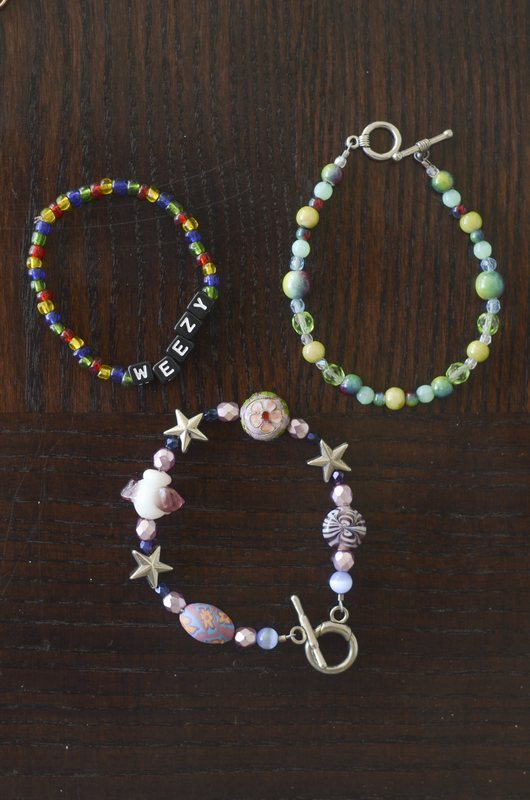 I made each of the pieces above either using supplies from a local craft store or visiting a bead boutique where they teach you how to make jewelry. Let me know if you’d like step-by-step instructions on how to make your own custom pieces! heres my link what do you think of my floral crafts?